CPS Camp No. 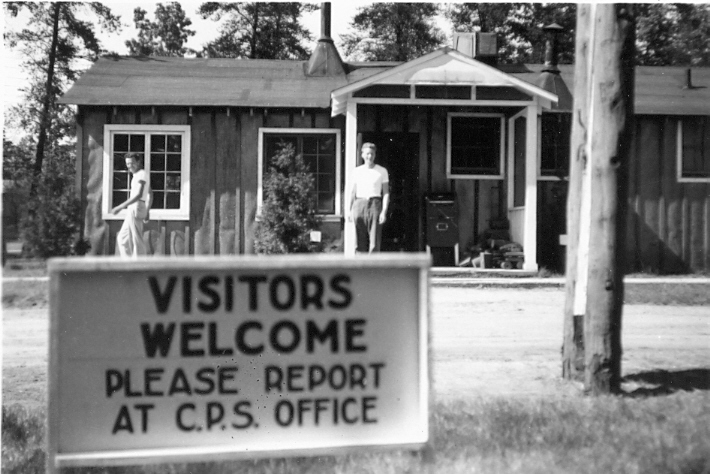 30, a Forest Service base camp, located in Walhalla, Michigan and operated by the Brethren Service Committee, opened in May 1942 and closed in November 1943. The men fought fires, built roads and trails, and performed reforestation work. This Forest Service base camp was located in Walhalla, Michigan in the middle of the Manistee National Forest. Walhalla is on US 10 due east of Ludington, Michigan, which is a community on the eastern shore of Lake Michigan. In Brethren camps, the men when entering CPS tended to report a mix of religious denominational affiliations, with about half citing Brethren affiliation. The men at Walhalla fought fires, built roads and trails, and replanted logged-out and burned-out forest areas. Some of the men transferred from Camp Stronach, CPS Camp No. 1, which had faced open hostility from the community. In early 1943, the School of Cooperative Living was established at Walhalla. Dr. Morris Mitchell, an educator and founder of the Macedonia Cooperative Community near Clarksville, Georgia directed the school. Approximately sixty men participated, many of whom had transferred in from other camps. Most of the work of the school occurred in small interest groups of five to fifteen men. The groups presented their work in regularly held general meetings. One of the group projects was an apiary which furnished several hundred pounds of honey that were distributed through the Jack Pines Cooperative Store at Walhalla. A children’s book entitled The Gooliabah Tree was written by Joe Gunterman, illustrated by Bill Darr and published in 1944 by the Cooperative League of the USA. When the Walhalla camp closed the School of Cooperative Living moved to CPS Camp No. 42 at Wellston, Michigan. From April through October in 1943, the men published the School of Cooperative Living Newsletter. 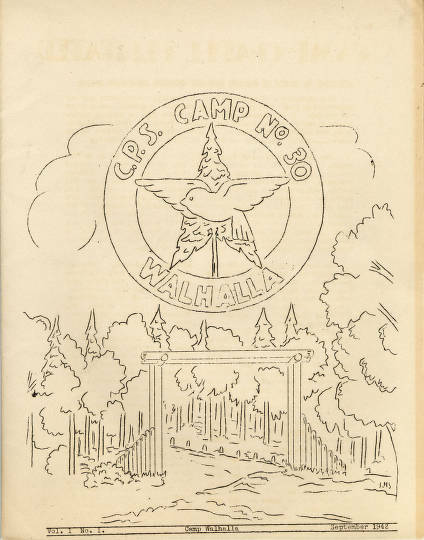 When Camp Walhalla closed in November 1943, men were dispersed to other units, although many went on to Wellston, CPS Camp No. 42. For more information on Brethren forest service camps as well as camp life, see Leslie Eisan, Pathways of Peace: A History of the Civilian Public Service Program Administered by the Brethren Service Committee. Elgin, IL: Brethren Publishing House, 1948, pp. 74-84, 112-187; School of Cooperative Living pp. 140-46. See also The Goolibah Tree, by Joe Gunterman, illustrated by Bill Darr. New York, Chicago and Washington, DC: The Cooperative League of the USA, 1944. For more information about Morris Mitchell and the Macedonia Cooperative Community see Searching for Viable Alternative: The Macedonia Cooperative Community, 1937-58. New York: Burt Franklin & Co., 1981. For information on protests of conscience, see Mulford Q. Sibley and Philip E. Jacob, Conscription of Conscience: The American State and the Conscientious Objector, 1940-1947. Ithaca, NY: Cornell University Press, 1952, pp. 257-278.